One of the newly discovered moths, Megacraspedus faunierensis, in its natural habitat in the Alps. Given that the Old Continent is the most thoroughly researched one, their findings, published in the open access journal ZooKeys, pose fundamental questions about our knowledge of biodiversity. Such wealth of new to science European moths has not been published within a single research article since 1887. “The scale of newly discovered moths in one of the Earth’s most studied regions is both sensational and completely unexpected,” say authors Dr Peter Huemer, Tyrolean State Museum, and Ole Karsholt of the University of Copenhagen‘s Zoological Museum. To them, the new species come as proof that, “despite dramatic declines in many insect populations, our fundamental investigations into species diversity are still far from complete”. Type locality of the new moth species Megacraspedus faunierensis, Cottian Alps, Italy. For the authors, it all began when they spotted what seemed like an unclassifiable species of twirler moth in the South Tyrolean Alps. In order to confirm it as a new species, the team conducted a 5-year study into the type specimens of all related species spread across the museum collections of Paris, London, Budapest and many in between. To confirm the status of all new species, the scientists did not only look for characteristic colouration, markings and anatomical features, but also used the latest DNA methods to create unique genetic fingerprints for most of the species in the form of DNA barcodes. A particular challenge for the researchers was to choose as many as 44 names for the new species. Eventually, they named one of the species after the daughter of one of the authors, others – after colleagues and many others – after the regions associated with the particular species. 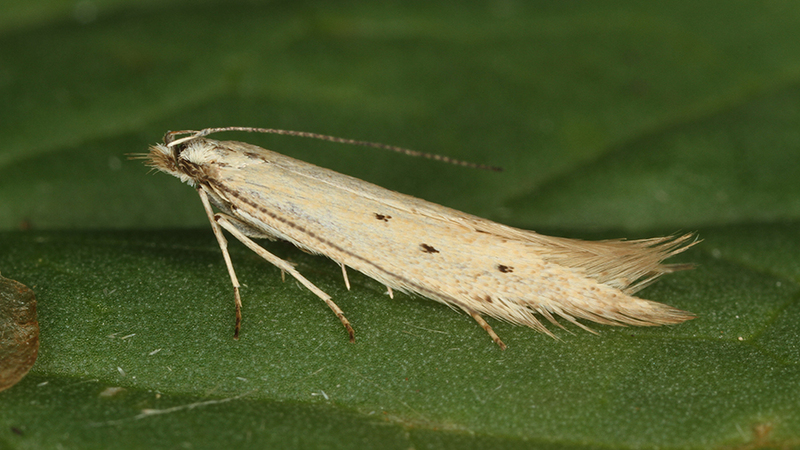 Megacraspedus teriolensis, for example, is translated to “Tyrolean twirler moth”. Amongst the others, there is one which the scientists named Megacraspedus feminensisbecause they could only find the female, while another – Megacraspedus pacificus, discovered in Afghanistan – was dubbed “an ambassador of peace”. All new moths belong to the genus of the large twirler moths (Megacraspedus) placed in the family of twirler moths (Gelechiidae), where the common name refers to their protruding modified mouthparts (labial palps). The genus of the large twirler moths presents an especially interesting group because of their relatively short wings, where their wingspan ranges between 8 and 26 millimetres and the females are often flightless. While it remains unknown why exactly their wings are so reduced, the scientists assume that it is most likely an adaptation to the turbulent winds at their high-elevation habitats, since the species prefer mountain areas at up to 3,000 metres above sea level. Out of the 85 documented species, however, both sexes are known in only 35 cases. The scientists suspect that many of the flightless females are hard to spot on the ground. Similarly, caterpillars of only three species have been observed to date. While one of the few things we currently know about the large twirler moths is that all species live on different grasses, Huemer and Karsholt believe that it is of urgent importance to conduct further research into the biology of these insects, in order to identify their conservation status and take adequate measures towards their preservation.